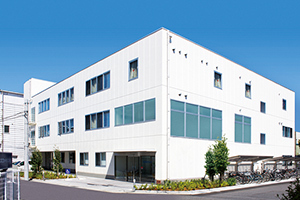 This facility is able to manufacture external preparations, particularly high value-added products (systemic transdermal absorption agents (TTS)) made with cutting-edge formulation technologies. The facility is also able to manufacture orally administered drugs, including oral disintegration tablets made with particulate coating technology on a high variation/low volume basis. This plant is able to produce a wide variety of formulations, including uncoated tablets, film-coating tablets, sugar-coated tablets, oral disintegration tablets, sustained release capsules, powders, granules, and dry syrups, as well as various forms of packaging. This plant is also able to provide a selection of optimal production methods according to the drug characteristics. The plant features a high variation/low volume production of orally administered drugs. The plant is suitable for the production of low to medium volume (i.e. 30,000 - 1,400,000 tablets) production. This plant is equipped with a production line for poultices. 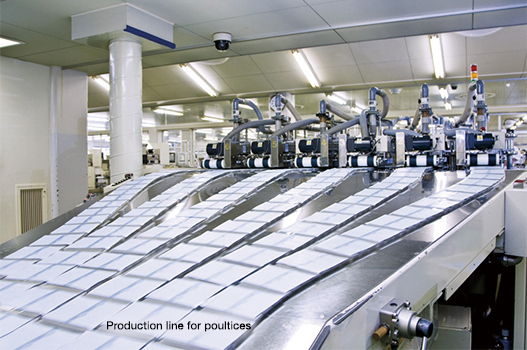 Prioritizing quality assurance, this plant is able to produce high-quality poultices according to our unique formulation technologies and highly automated systems. The plant has obtained the certifications for the cGMP and the EU GMP. 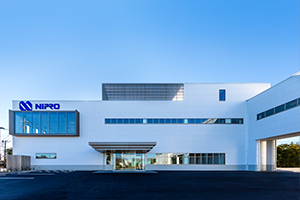 Accordingly, the plant is able to provide contract manufacturing of preparations aimed at Europe and the US. 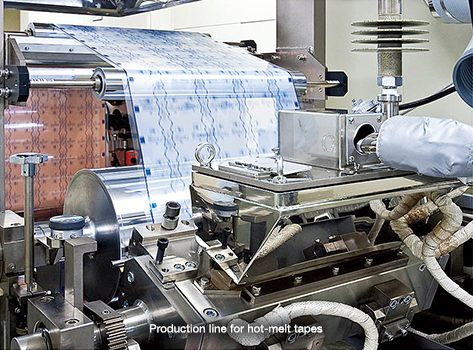 This plant is equipped with a production line for hot-melt tapes. 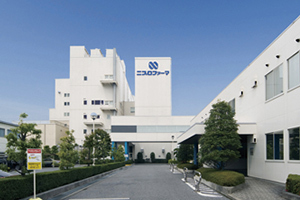 The plant is able to produce high-quality tapes according to our unique formulation technologies and cutting edge, high-performance production facilities. The plant is also able to produce ointments and creams, covering from the stage of investigational products to post-marketing commercial mass production. Furthermore, the plant is able to produce fluid agents for external application and syrups for internal application.